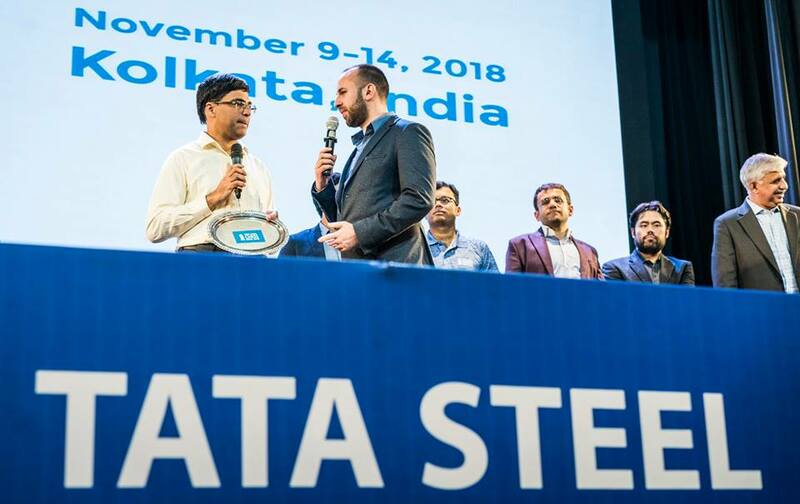 India’s Viswanathan Anand won the inaugural edition of the Tata Steel Chess blitz tournament in Kolkata, beating Hikaru Nakamura on Wednesday. 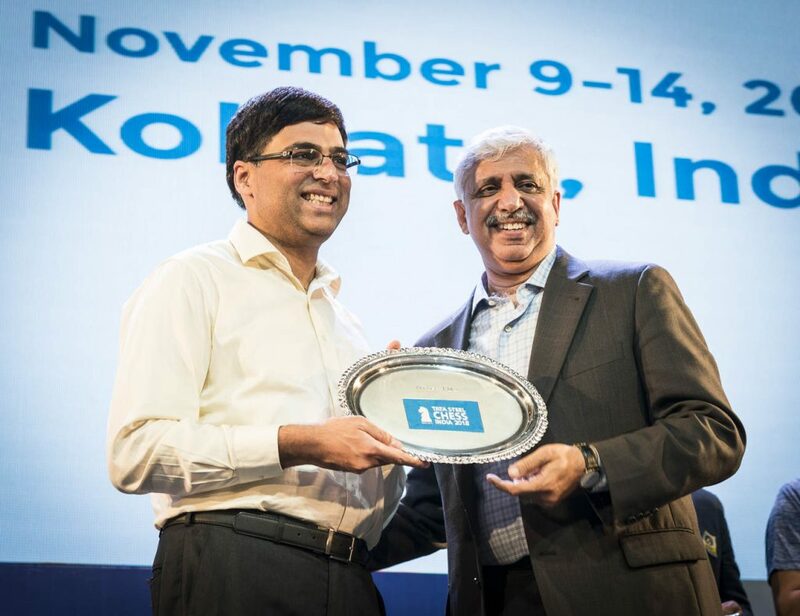 The two players were tied after 18 rounds, but five-time world champion Anand triumphed 1.5-0.5 in the Blitz playoffs. “To win this tournament, and to win it at home, is amazing,” said Anand. 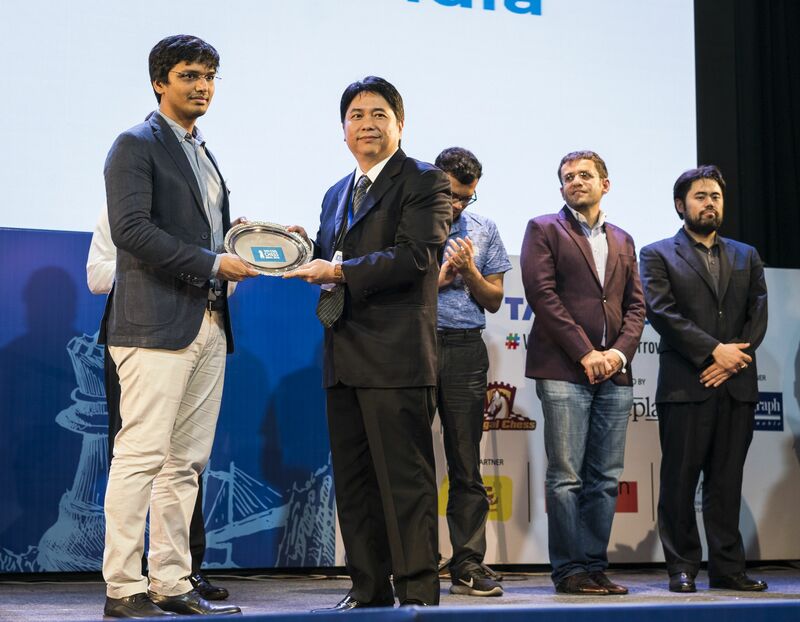 Harikrishna receiving the second prize for the rapid. 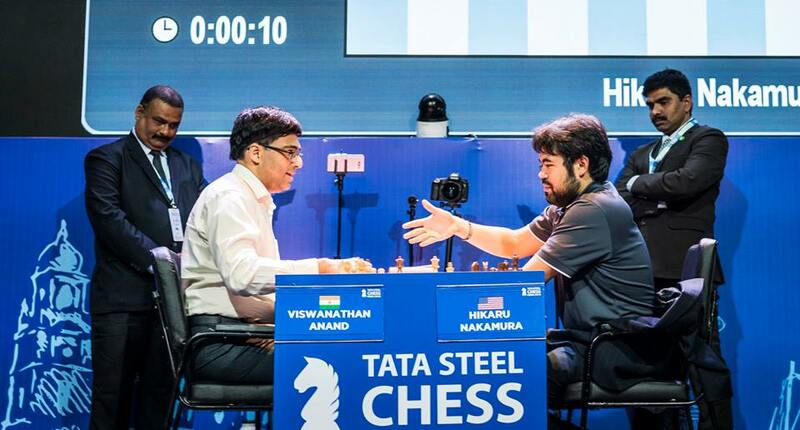 Nakamura had fate in his own hands in the final round, after Anand had drawn his game with Levon Aronian. All he had to do was beating the tail-ender, Praggnanandhaa R. However, India’s Praggnanandhaa did a huge favour to Anand in the last round when he held Nakamura in the final round. 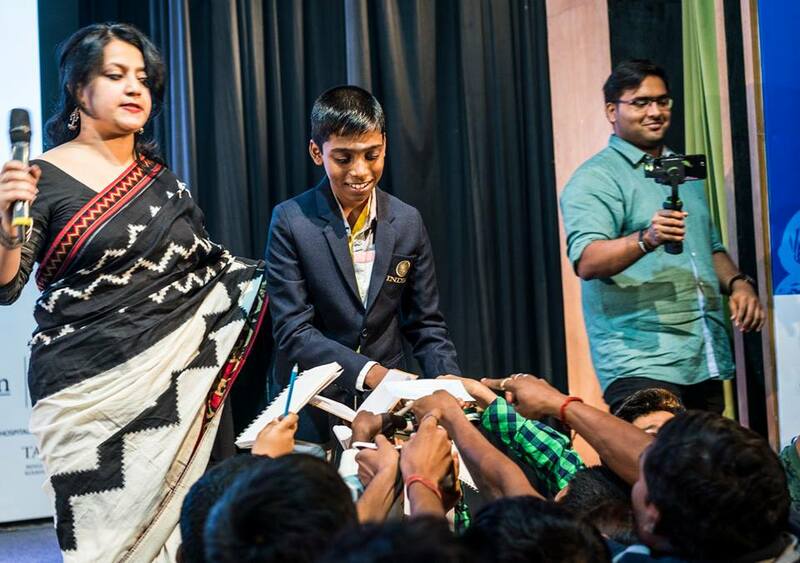 The 13-year-old probably displayed the best defensive game of his life to manage a miraculous draw that forced a playoff against Anand.